Green Olive Tours was founded in 2007 by Fred Schlomka, an alumni Fellow of the Echoing Green Foundation. The organization specializes in alternative tours of the Occupied Palestinian Territories, providing an option to the commercialized 'Holyland' and 'Jewish Heritage' tours that are the norm in Israel and Palestine. As a social enterprise, Green Olive Tours aims to provide a meaningful experience for our guests, and act as a conduit for economic development in the West Bank. 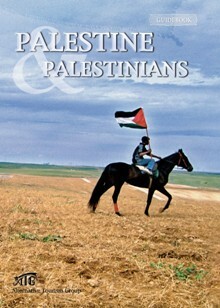 The tours employ Palestinian and Israeli guides, and benefit villages, small businesses, guest houses, and non-profit social action organizations. Commentary and analysis are provided by the guides based on fundamental principals of democracy and human rights. In addition to visiting historical and religious sites, the tours also facilitate interaction between the visitors and local people though informal meetings, home-stays, and lunches. The Hebron tours were established early in the organization's history, and as the business grew, other tours were added. 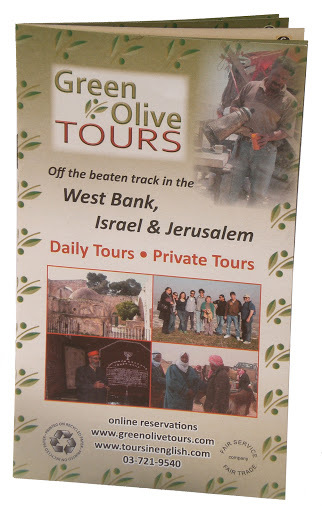 Green Olive Tours is now the only Israeli organization providing comprehensive touring services throughout the West Bank. More information is available here about the other tours.